A partnership between Washington County Public Schools, HARC, MD Food Bank, and more than 50 sponsoring churches and community organizations providing bags of food to feed hungry students over the weekend. The Micah’s Backpack program in Washington County follows a model established in Blacksburg, VA. The program is designed to feed hungry students through a partnership between each elementary school and one or more churches/organizations in its community. Brought to Washington County by Trinity Lutheran Church in 2010, the program now serves more than 1,000 students in 33 schools and involves partnerships with more than 50 churches and organizations. Over 10,000 students in Washington County Public Schools receive free or reduced lunches and for many this lunch will be the last hot meal of the day. Children are especially hungry over the weekend when school is not in session. Each Friday afternoon identified elementary school children and homeless middle and high school children receive a bag of healthy food and snacks. The filled bag may include the following individual serving-size items: cereal, oatmeal, juice, tuna, peanut butter, crackers, macaroni and cheese, soup, applesauce, fruit cups, spaghetti, ravioli, beef stew, canned vegetables, and other nutritious food. Eligible students are identified by the school principal and a designated school staff member such as the counselor, social worker, or community liaison. Confidentiality of program participants is maintained by the school. A permission form is provided for the parent/guardian of each eligible student by the principal or designated school staff member. The form must be signed by a parent or guardian and returned to the school before a child may participate. Middle and high schools are exempted from permission slips to add flexibility for serving homeless students. Hagerstown Area Religious Council (HARC) writes for grants to provide food; manages grants and donated funds; and recruits additional churches and organizations to participate in the program, matching them to a school that needs additional help. Washington County Public Schools assigns a liaison for the program at each school who selects children in need of the program, gets permission slips signed by parents, and ensures distribution of backpacks to the children each week. Maryland Food Bank helps to provide quality shelf stable food at a good discount. 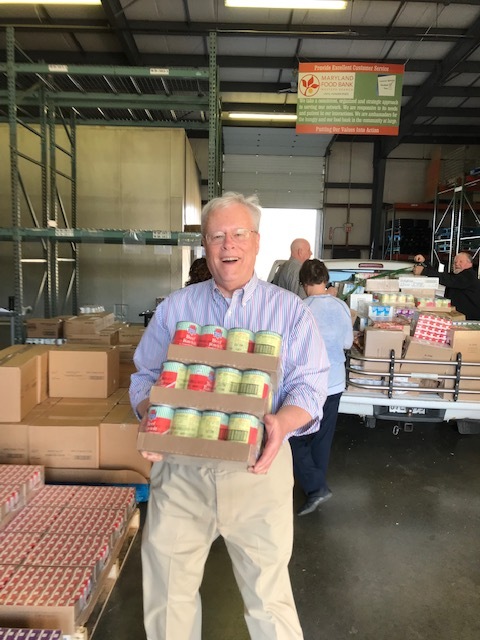 Grant funds and donations for the overall program are used to purchase bulk food from MD Food Bank and distributed equitably to each of the sponsoring churches and organizations. Grant funding and major donations have been secured to support some of the partner’s food costs for the Micah’s program for the 2018-2019 school year from the following sources: The Alice Virginia and David W. Fletcher Foundation, Belk Inc., Nora Roberts Foundation, Richard N. Funkhouser Foundation, FirstEnergy Foundation, The Hagerstown Lion’s Club, and the HARC Hike for Hunger & Hope. The following churches and organizations do the bulk of the day-to-day work of Micah’s Backpack, purchasing most of the food, packing backpacks, and delivering the backpacks (or bags) each week to their partner school. A Steering Committee of 6-9 members organizes, keeps structure, provides guidance, and helps to meet the mission of the program. Members include one leader each from Trinity Lutheran Church, Washington County Public Schools (WCPS) administration, Hagerstown Area Religious Council (HARC), and Maryland Food Bank, Western Branch, as well as representatives from sponsoring churches/organizations. Churches/organizations wishing to become sponsors, co-sponsors, or partners should contact Kathy Powderly, Executive Director, Hagerstown Area Religious Council at kathy.harc@gmail.com. Financial donations may be made out to HARC with “Micah’s Backpack” in the notes field and sent to HARC, P.O. Box 1158, Hagerstown, MD 21741-1158, or to a sponsoring church/organization.